When I browsed Apple Communities, I saw a lot of people asking how to trim MP3 music audio Mac. They had a number of favorite songs and would like to trim one of them on Mac so as to make a ringtone. There are mainly two advantages of trimming MP3 music on Mac. On one hand, you will get the length you want via trimming MP3 Mac; On the other hand, you can save the space of your Mac but listen to your favorite songs with MP3 trimmer Mac. Now let’s move to the guide to learn how to trim MP3 Music on Mac. QuickTime Player, developed by Apple Inc., allows users to carry out some basic functions like the playback of movies, audios, images, graphics and VR movies, etc. QuickTime Player is preinstalled in every Mac computer, so you don’t need to download it again online. 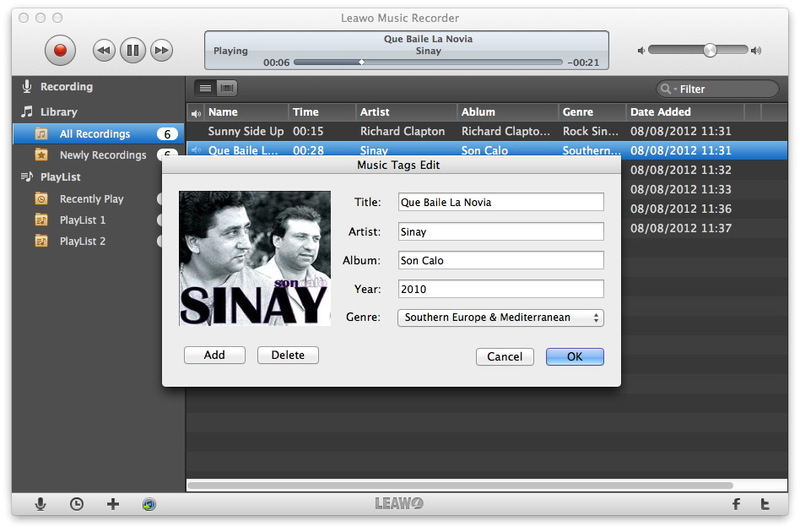 QuickTime Player can not only trim MP3 Mac, but also trim music in other formats like WAV. Hence, if you want to trim music Mac, it is easy-peasy for this Mac MP3 Trimmer to complete it. 1. 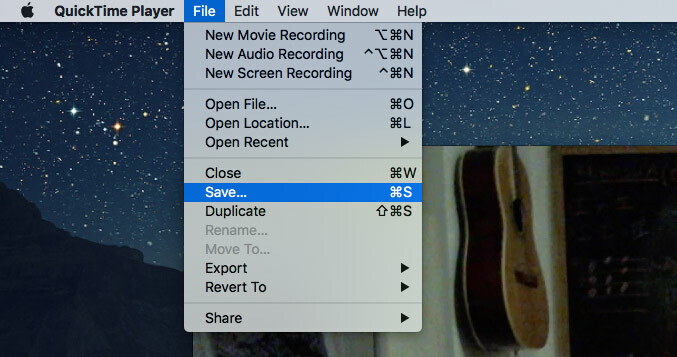 Copy the MP3 file you need to trim on the desktop. Then open the MP3 file in QuickTime Player, you can directly drag the audio into QuickTime Dock iCon. 2. Click "Command + T" to activate trim function	or go to "Edit" menu to find the trim function. 3. Drag the left and right yellow sliders to trim down the length you want and then press the playing button at the top to confirm whether the sound clip is what you want or not. 4. 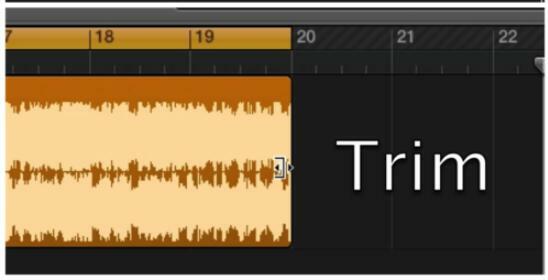 If you are satisfied at the sound clip, you can click yellow "Trim" button. After that, go to File > Save As/Export. There are many output formats available, but most of users tend to choose M4R format as the output format so as to facilitate its usage on iPhone. As for a good MP3 trimmer Mac, Garageband is no doubt one of the best choices. The interface of Garageband is a little complicated for a novice, but it will be of great use after you learn how to use it. This MP3 trimmer Mac supports to trim music in various formats, including AIFF, WAV and MIDI and export audio to MP3, MP4 or AIFF format. Garageband is abundant in a wide range of realistic, sampled instruments and software modeled synthesizers for creating original music and playing music live via connecting a USB MIDI keyboard to computer. Now let’s see how to trim MP3 music on Mac with the Mac mp3 trimmer. 1. 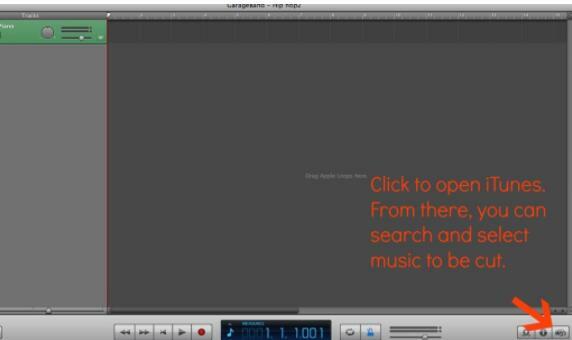 Launch the Mac MP3 trimmer and select the "Empty Project" panel. Choose MP3 music you need to trim from iTunes library, Loop library or your desktop. You can click, hold and drag the song to the right workspace. 2. Move your mouse to the right edge of the wave form and you will see a cursor. Put your cursor in the middle of the audio track, the cursor looks like a line with arrows. Simply click, hold and drag the track edge to trim MP3 Mac. 3. You can click the playing button to listen to the sound clip. 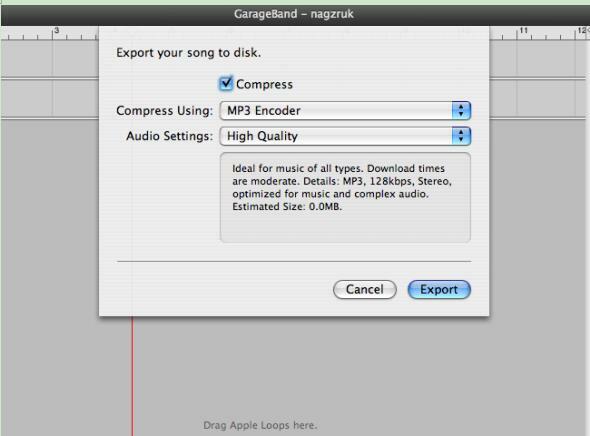 If you are happy with it, click Share > Export Song to Disk" and choose output formats like MP3, AAC, AIFF. 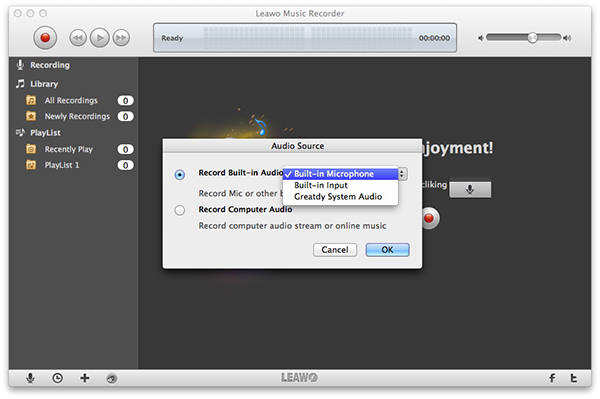 Different from solution 1 and solution 2, Leawo Music Recorder for Mac trims MP3 Mac via recording the sound section you want. 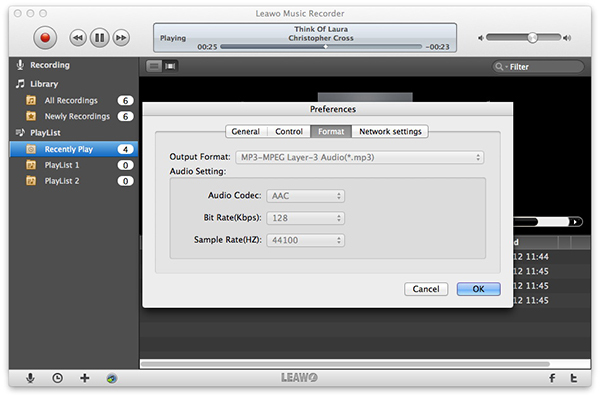 Leawo Music Recorder is able to record any audio from any audio source including online audio like YouTube, Spotify and Facebook, computer audio and microphone audio. You can record audio in over 300 formats and save them in the output format of MP3, WAV or M4A. The Mac MP3 trimmer supports you to enhance the trimmed MP3 by setting the parameters of bit rate and sample rate. 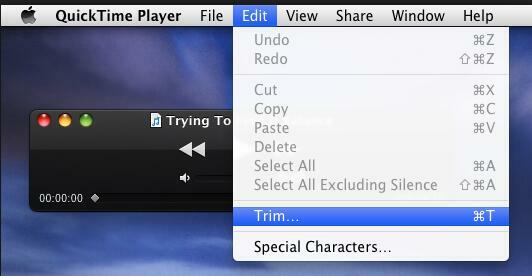 Besides, you can manually add and edit music tags like title, genre, album and so forth with this MP3 trimmer Mac. Now allow me to introduce you how to trim MP3 Mac with Mac MP3 audio trimmer. Download and install this Mac audio editing software on your Mac computer and then launch it. The below steps would show you how to trim MP3 music file on Mac. 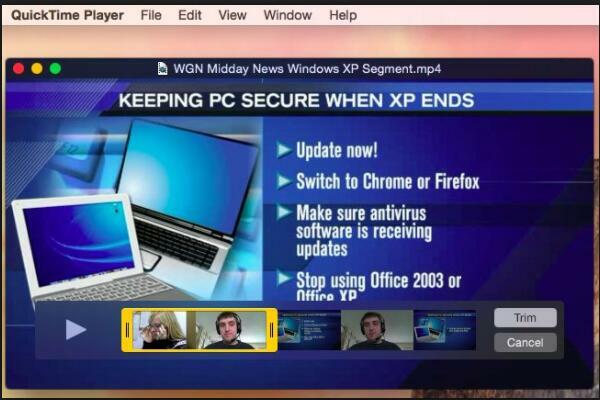 It works on Mac OS 10.6 and later. Click the little microphone icon at bottom left to enter "Audio Source" panel, choose either "Record Computer Audio" or "Record Audio Input" based on your actual situation. 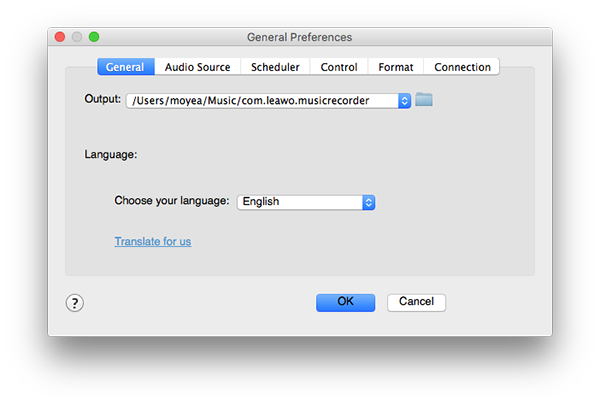 You can find format panel by going to Leawo Music Recorder > Preferences > Format. Three output formats are available: MP3, WAV and M4A. You can also adjust sample rate and bit rate on the same panel. On the same panel, go to General to select the output directory by clicking the blue folder icon to browse. Activate the recording button to start recording in the main interface and then play audio you need to trim. When you finish it, you can click the recording button again to stop recording. 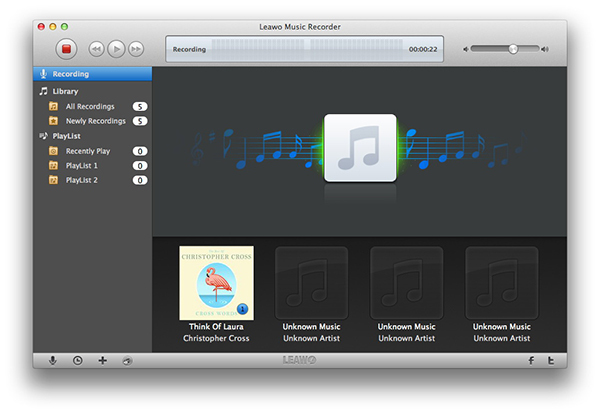 Leawo Music Recorder is helpful in automatically downloading music tags. However, you can also manually edit music tags like title, artist and year by going to Library and right clicking the recording to choose "Edit Music Tags".